Secto Design’s founder, Tuula Jusélius met Finnish architect and lighting designer, Seppo Koho in 1995. 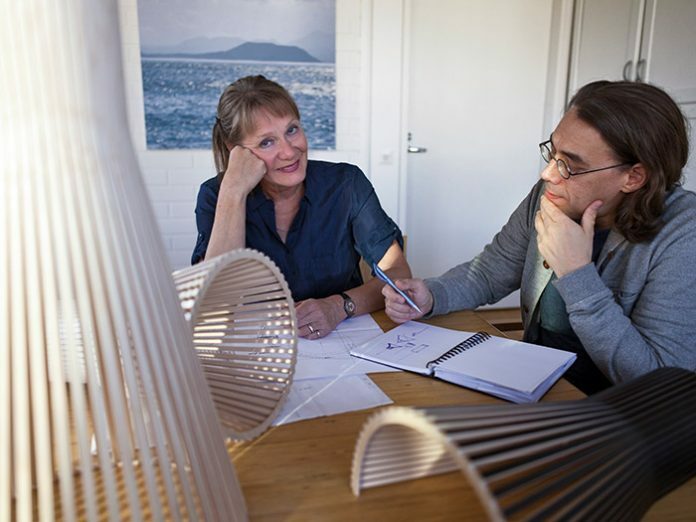 Having bonded over their shared interest in northern wood and Scandinavian design the two became fast friends eventually collaborating on a business that would later become the basis of their present company and backbone of its lighting collection. Secto Design’s first iteration focused on innovative wooden furniture, which sold well but clients complained about the lack of lighting accessories to complement it. Taking this on board Jusélius looked to the birch tree for inspiration and it’s place in Finland’s history. After the last glacial period in the northern hemisphere birch trees were the first to dominate the landscape thanks to their remarkable tolerance to challenging conditions. Indigenous people across the northern latitudes referred to the tree as the guardian of the people using the wood to make shelters, utensils and even remedies, so this felt like a good fit for a company whose foundation is built on a deep respect for nature and professional woodworking. The conical Secto 4200 pendant was the first light the company made, acting as a blueprint for future collections even today the wooden shades of the Secto Design fixtures are handmade in the town of Heinola, central Finland. It’s not always easy to tell the fake from the original, especially if the proportions are close to the original and often the material choices and details of the copied products are similar as well, which causes even more confusion. This is why Secto have decided to add a special tag on its products, as a proof of it’s authenticity. This tag is a hologram sticker that has been created just for Secto products by Starcke. Once the authentic design lamp leaves the hands of the maker in Finland, a 20×10 sized hologram security seal is added to the shade. It’s a tamper evident seal, that shows the product has been made in Finland, of top-quality birch material, by a talented local carpenter, in a fair work environment, and that the electrical components are approved and safe to use. The hologram has a picture of the Secto pendant visible to the eye, as well as more detailed information hidden in the layers. If removed, it will break. Thus the same hologram sticker can only be used once, on the original product.